State Rep. Dave Yaccarino (R-87) met with constituents of North Haven to discuss the latest news from the State Capitol, including the bipartisan state budget passed during the legislative session that concluded in May. 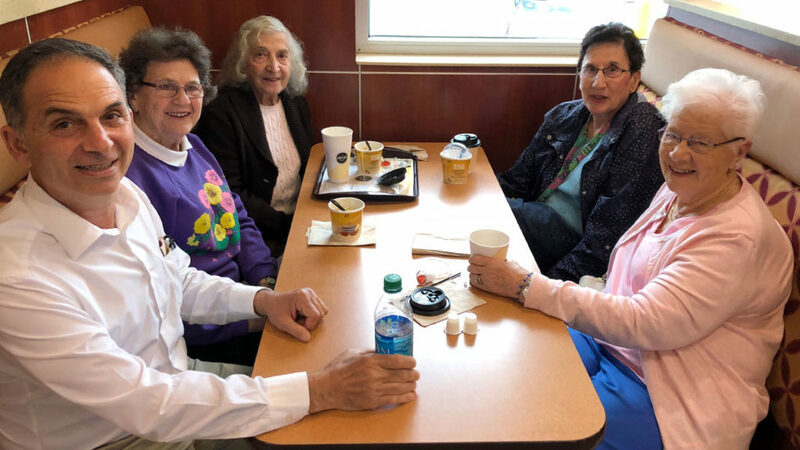 Yaccarino hosts ‘Coffee and Conversation’ events on the first Friday of every month at McDonald’s in North Haven located at 129 Washington Avenue from 8 – 9 a.m. This is an opportunity to meet with Rep. Yaccarino and speak with him about any concerns or issues pertaining to state or local government. “I always encourage constituents to reach out to me regarding state or local issues and want them to know that I am committed to working for the people of North Haven. I look forward to events where we can all come together and collectively find solutions and answer people’s questions. Join me next month from 8-9 a.m. on Friday, July 6th,” said Rep. Yaccarino. Attendees at the legislative coffee hour event also discussed a variety of issues, including state taxes, the prevention of tolls in Connecticut, and the recent implementation of a constitutional spending cap along with other pertinent issues addressed during the 2018 legislative session. Any resident who missed the event but would like to contact Rep. Yaccarino may do so at 800-842-1423 or email.